The rapper and actor will take the stage as the first official Grammy MC since 2005. LL Cool J will act as the first official host of the Grammy Awards in seven years. For the past seven years, the Grammy Awards have steered away from the traditional host format. But for this year's 54th annual ceremony, they will once again have a Master of Ceremonies. Rapper and actor LL Cool J - himself a two-time Grammy winner - has been tapped to host the telecast, which airs live February 12th at 8:00 PM ET on CBS. He will be the first host since Queen Latifah performed the duties in 2005. "I'm thrilled to be part of Music's Biggest Night," said the 44-year-old in a statement. "I will always have fond memories of my first Grammys Awards and to now be hosting the Grammy show, in the company of so many other incredible artists, is a dream come true." Joining LL on stage will be confirmed live performers Jason Aldean, Kelly Clarkson, Foo Fighters, Bruno Mars, Nicki Minaj, and Taylor Swift. But the biggest name of the night is singer Adele, who leads all nominees with six, including Album of the Year, Record of the Year, and Song of the Year. 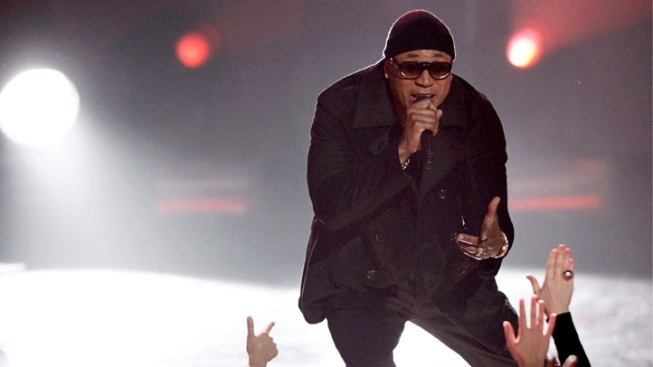 LL Cool J has been acting as host for the Grammy nominee concert since 2008.